ThirtyFifty is a WSET Approved Programme Provider (APP), certified to offer the WSET Level 3 qualification as part of the UK's Qualifications and Credits Framework which is regulated by Ofqual. The WSET Level 3 Award in Wines (formerly the WSET Advanced Certificate) is typically run as a 5 day course over 5 consecutive Mondays or Saturdays with the flexibility to interchange between Mondays and Saturdays if you need to. The Level 3 is ideal for those employed in the wine industry looking for a detailed and structured wine education. It's also suited to wine enthusiasts with prior knowledge who already have the Level 2 qualification as well as those looking to enter the wine industry in retail or hospitality. For larger group bookings we can arrange different dates/course structure to suit. The course is centrally located in London's Covent Garden. The Level 3 is open to students who hold the Level 2 Award in Wine and Spirits or can demonstrate they have the equivalent level of knowledge or qualifications. For the full specification follow the link to open the WSET Level 3 Specification. Building on the Level 2 Award, the Level 3 gives a more in-depth understanding of the wine regions of the world. A solid grounding in growing, making and tasting wine. Production of Wine (location, viticulture, vinification, maturation and bottling, labelling regulations). Key wine producing countries and regions including France, Italy, Spain, Portugal, Germany, Central and South Eastern Europe, South Africa, Australia and New Zealand, North America, South and Central America. Run over 5 days, often consecutive Saturdays or Mondays. Full Student Pack including text books and course books provided. Final exam on the afternoon of Day 5, consisting of 50 Multi-choice questions, a long question and a blind tasting of two wines. 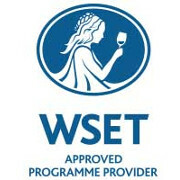 We are a leading WSET Approved Programme Provider (APP) with a great team of tutors delivering the WSET courses. Access to all 500+ questions for your exam worth £20. Mock tasting exam with marked tasting sheets and feedback. One tutor for the entire course so that you only have to calibrate your palate with one other palate! Students often complain that different lecturers use different ways of writing a tasting note, resulting in confusion. Text books provided before the course. They also include an optional set of activities to help prepare students who want to excel or those who are worried they may struggle. Access to ThirtyFifty's 'Decoding the WSET L3 SAT' worth £10 and Audio guide. It is a concise guide to how to pass the tasting exam. Students can use the guide at home to practice. All glassware provided and lent to students to practice their tasting at home. The days can be booked directly with ThirtyFifty online (see available courses below) or by calling us on 020 8288 0314. To discuss group bookings on different dates to those published please call us. If you are giving the WSET Level 3 Course as a gift, you can purchase an open dated gift voucher so that the recipient can book a date with us directly. We'll automatically email you a link to the gift voucher to print off at home. The WSET Level 3 (formerly the Advanced Certificate) is perfect for those looking to develop a deeper understanding of the wines of the world. Perfect for wine enthusiasts or those looking to enter the wine industry in retail sales or front of house hospitality. ThirtyFifty typically runs the Level 3 on five consecutive Saturdays or Mondays in London. Saturday and Monday courses start at 8:45am and finish 5:45pm on the first day and 8:45am till 5:15pm on the rest. The exam is held on the afternoon of Day 5. The start time is 8:30am for a prompt 8:45am start. The Level 3 is a prerequisite for the WSET Level 4 Diploma in Wines and Spirits qualification. ThirtyFifty does not currently run the Diploma and we are not planning to offer this qualification in the near future. The WSET Level 3 Course is run by Chris Scott or Tom Forrest. Chris has over 10 years experience teaching wine and presents the popular weekly UK Wine Show podcast. Chris holds WSET Certified Educator qualification meaning he can teach the full range of WSET Courses including the Level 3. Tom Forrest, formerly senior wine expert at Vinopolis, is an experienced WSET Certified Educator. You can transfer your place to another date with 2 weeks notice. We normally need at least 2 working days to transfer to another suitable person, but do ask if within this.